Just because you get married does not mean you will never have chemistry with another man. That little gem of wisdom about knocked me off my chair. I've never understood how a married person could even look at another of the opposite gender as anything more than a totally asexual entity. But then I realized my train of thinking is absolutely absurd. As a woman, I have constantly met other women to whom I am immediately drawn. Ladies, you know what I'm talking about - those gals that you can tell immediately you will have a life-long bond with. There is no questioning that connection, no hesitation - just pure elation with finding another who is your kindred spirit, bosom buddy, soul mate, what-have-you. Why, then, could I have had the preposterous thought that after fifteen years of active dating and finding connections with various men, I would never encounter another man with whom I have chemistry simply because I had gotten married? Heck, even in committed dating relationships prior to engagement, you have your eyes open to make sure you are making the most correct decision for yourself and the person you are dating. 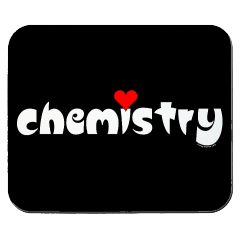 The difficult aspect about opposite-gender chemistry (or same-gender depending on your persuasion) is that that chemistry usually comes along with attraction to be with the person. Whenever I have felt that in my life, I've always been able to act...that is the natural thing to do and has definitely become my action of habit! What a novel idea...I will always meet people I am drawn to - for the rest of my life I will continue to have magnetism towards some. How could I have never realized this before? The difference is that once I decide I have met my "the one," I will make that conscious effort and decision to never again act on the chemistry/attraction. It will be there, like it or not. But that commitment to an eternal and everlasting marriage is more than chemistry - it is a covenant with another spiritual being and with your Heavenly Father and with the eternities your legacy will lead to. Marriage is building. Marriage is hope. Marriage is freedom to create. Marriage is digging into the trenches with each other and then helping each other climb out. Marriage is companionship, unconditional support, friendship, love, loyalty, dedication and a million other elements that all combine to be the thing most of us constantly crave until we find it. And when we do, we cling to it with the force of a thousand winds. It is a bit shocking when you realize this. I too believed that I would never be attracted to another man, so when it happened, I wasn't sure what it meant, or what to do about it. I'm glad you realized this prior to getting married.